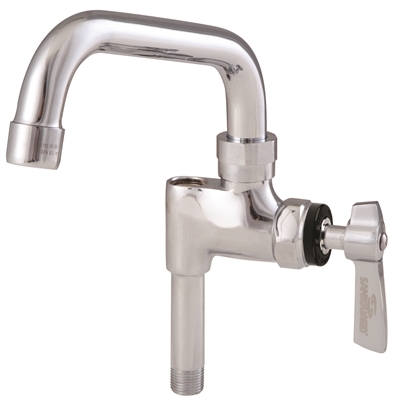 The Add-on Faucet extends the flexibility of Pre-rinse assemblies by providing additional swivel spout capability. 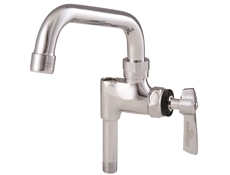 The only Add-on Faucet designed specifically to permit full spout swing without interference with the riser pipe. Installation is easy, utilitising the same water lines and controls as the Pre-rinse. Separate valve is used to control the spout flow. Available with ceramic valves.